Ideal for safely modify the transmission of your scooter, thus improving the power! 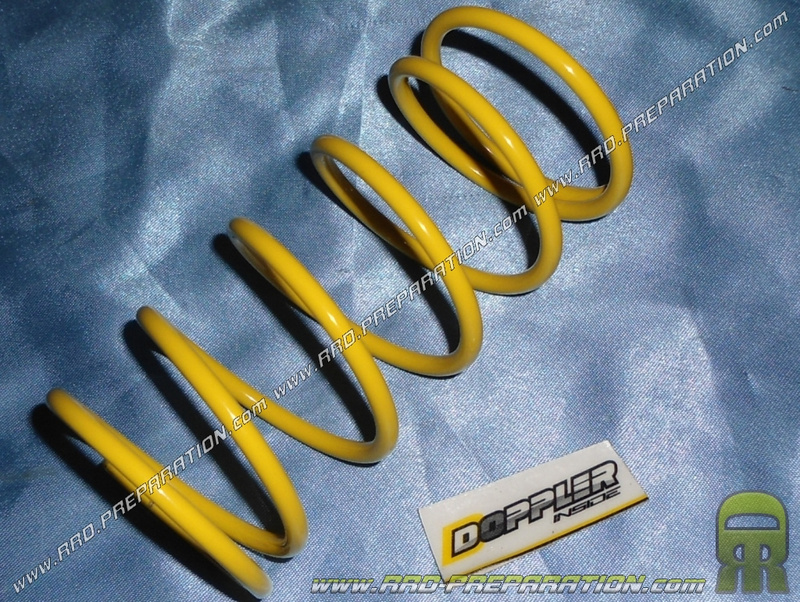 We present here a push spring yellow DOPPLER home. It has a 25% resistance (Ø4mm) harder than the original, with no risk to him it is too hard, is perfect for a scooter-type equipped kit 50cc + exhaust + carburetor settings and drive. For all scooters with horizontal and vertical minarelli.